I went to my local sugar shack this weekend too! Have you tried Maple Cream? It's divine! Maple cream is too much. And I really like things that are too much. My husband and son just went sugaring with the Boy Scouts. They left the house grumpy and came home decidedly less grumpy. Amazing what that sugar shack did for them. how cool- i have never seen the production process. did you take these photos? fabulous, as always. I love learning about American food producers from around the country. I'm a 5th generation North Dakota farm girl. All the trees here are planted and barely get large enough to block the prairie wind--needless to say we don't have Maple syrup producers here. These photos are great. I did take these photos! I'm down with photo attribution, so unless a photo says 'via So-and-so' or 'from What's-her-head' you can assume that all images are taken by me. Pancakes. Did someone say pancakes? How cool! I was dying for pancakes last weekend! The craving has now increased exponentially! YUM! This is weird. 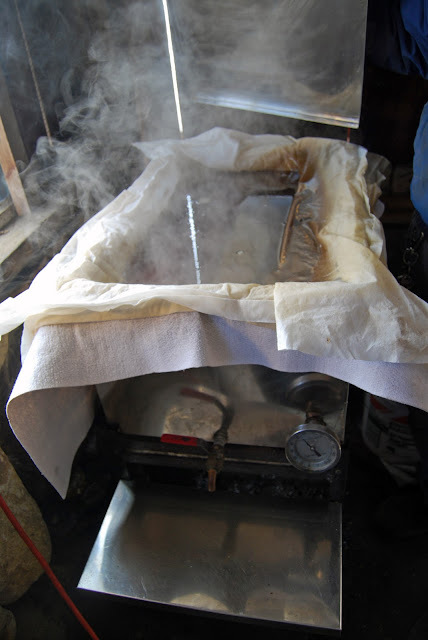 I too went to a sugar shack this past weekend (and blogged about it). Great minds really do think alike. It was a great way to spend a chilly Spring Saturday morning and the kids really enjoyed it. 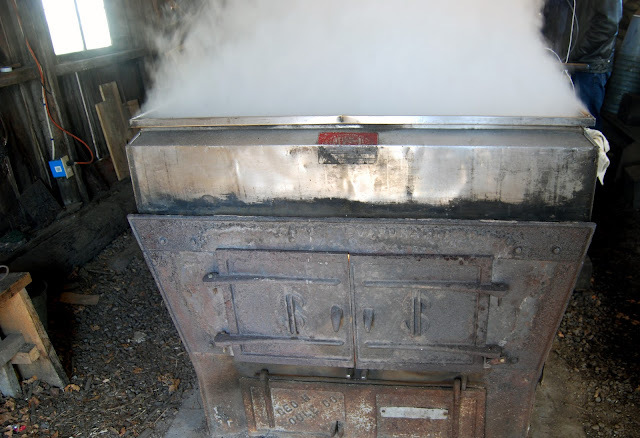 The most fascinating part, for me, was the 'evaporation room" where they boil down the sap and turn it into liquid yumminess. I've always been fascinated with this process. 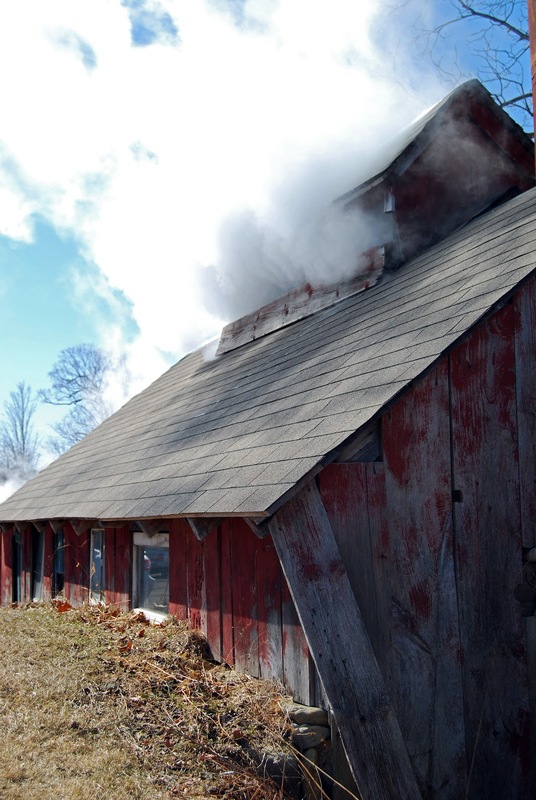 Good quality Maple Syrup is divine and I would give anything for a bottle of it right about now. I loved seeing this process. Very nice--thank you. Now you know why it costs so much! Nothing better than real maple syrup..yummmm! My hubby had a patient who didn't have money for a visit, so that sweet man asked if he could pay in maple syrup. You bet! It was wonderful! 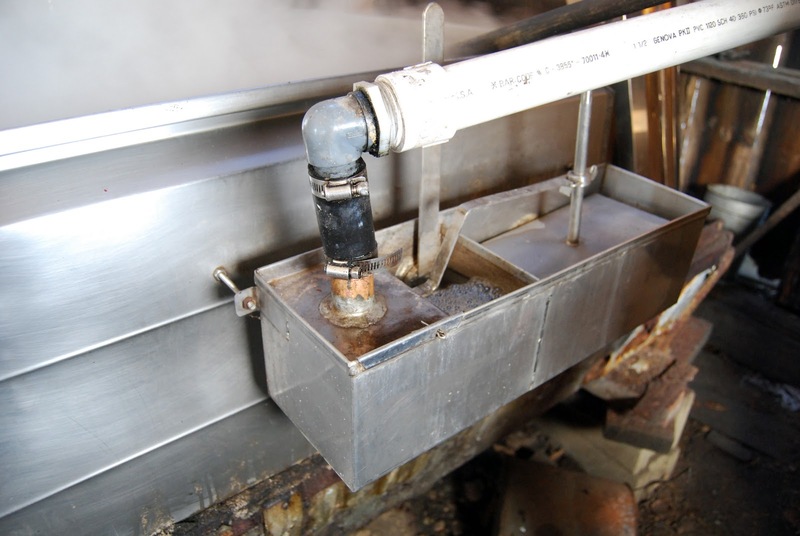 Wow I've never seen any part of the maple syrup process, I love the way it looks so rustic. 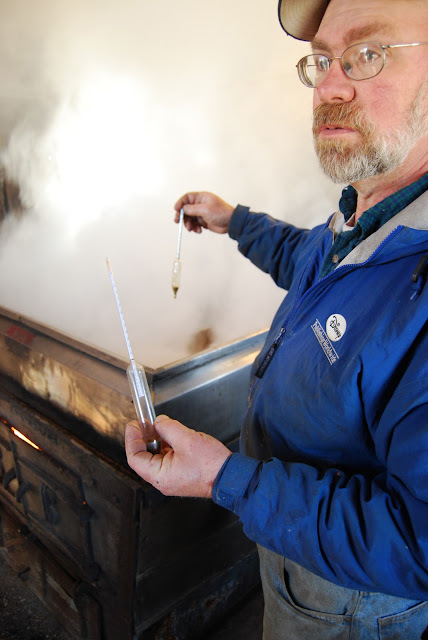 I think our maple syrup is just maple flavoured syrup, it's not so easy to get the real thing. Although I did get some maple sugar in Toronto recently - yummy. Stopping over from SITS! WOW -- what an educational post and beautiful photos! I've never seen a sugar shack or thought about one at all. Guess we'll have to add that to the must see list. Love my syrup -- thanks Mr. Man for making delicious maple syrup! Great job! Thanks for sharing your photos with us, they are fantastic!